...a simple 10 step guide to natural facial rejuvenation. 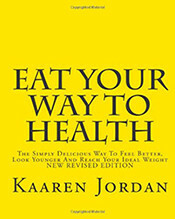 Eat Your Way To Health Paperback. 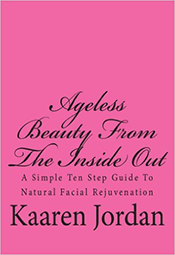 Ageless Beauty From The Inside Out Paperback. "Eat Your Way To Health." 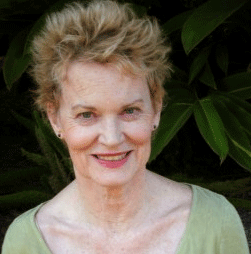 In the past, Eileen Poole helped me with a critical health issue and last year, after having been out of touch with her, I knew I needed her help again. I was concerned when I found out she had retired and didn't think anyone could help me as much as Eileen had. I was referred to Kaaren Jordan. I was skeptical at first, but I found her to be incredibly knowledgeable about Eileen and Dr. Beiler's work. I began working with Kaaren and lost 20 pounds, changed my eating habits and I feel so much better. Kaaren is very caring and really knows her stuff. No matter what question or concern I have, she has a suggestion or an idea about what to do. She is very available and always gets back to me right away. Not only does she provide nutritional support, but she offers Jin Shin Jyutsu as well. The Jin Shin treatments, which I can do with her in person or long distance, have really helped me accelerate the process of breaking some of my bad eating and lifestyle habits. I was surprised that the long distance treatments were just as effective as having Kaaren's hands on me. I'm also able to do self-care Jin Shin, which I usually use at night, lying in bed. Kaaren's work combining nutrition and Jin Shin is powerful and very effective. I highly recommend her and am grateful that she is carrying on the work of Eileen Poole and Dr. Beiler with her own style and approach, deep knowledge, intelligence and caring. 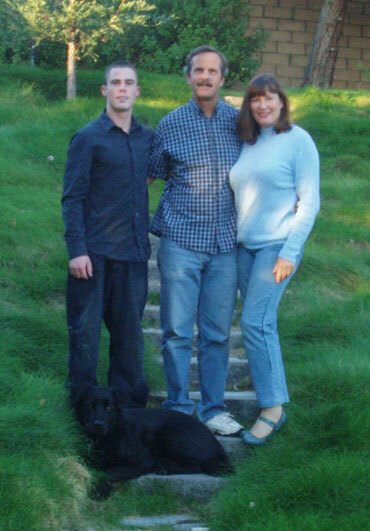 I first met Kaaren when I was overwhelmed with many health issues. Feeling distressed and unsure if I would ever feel well again, I started a healthy nutrition diet plan Kaaren developed especially for me. She addressed every issue I was having and found solutions; she also found great ways to subsitute my favorite foods so I wouldn't feel deprived! After two weeks I started to feel mentally clear and more balanced. I soon experienced fabulous renewed energy and started losing weight that I had hoped for. I also had less inflammation and pain in my body which was invaluable to me. Kaaren also suggested I try the incredibly simple art of Jin Shin Jyutsu to help maintain my health. Soon, I was feeling very well and able to go out and get back into life again. In the years since my first incredible session with Kaaren I have continued to follow the guidelines she laid out for me and to reap the rewards. I truly have her to thank for my health. Thank you so much, Kaaren! Kaaren has helped both of us tremendously. The combination of her extensive nutritional knowledge and healthy diet plan, experience, and intuition along with her "healing hands" in Jin Shin Jyutsu cuts right to the core of what might be ailing a soul. 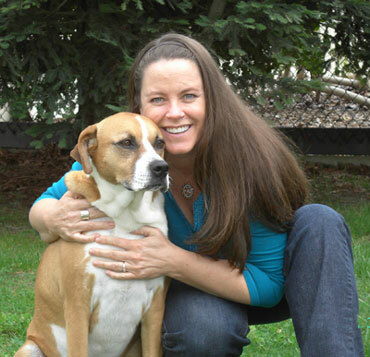 She has helped us with hormonal imbalance, joint aches/pains, lack of energy, and emotional eating with her, and we would highly recommend her. My body and my life have changed dramatically since Ive had Jin Shin Jyutsu with Kaaren. In person sessions and long distance healing sessions over the last couple of years have left me feeling more whole and centered than I have felt most of my life. Kaaren has given me the tools through her healthy nutrition diet plan and 'self help' and her innate wisdom to bring in balance and harmony within my own body. I feel better at the age of 42 than I did when I was 26!!! I know that with these tools I will only gain more health and balance as I 'mature'. Thank you, Kaaren!!!!" Kaaren's recipe book was very inspiring for me personally, and I recommend it to my clients and also to my family. The foreword is very positive and encouraging. The recipes are creative and varied. It opened up a whole new world of possibilities for me to eat healthy nutrition and feel like I was not missing out on anything but getting spoiled by such great recipes. This book is an investment in one's self. Kaaren has given me a better quality of life and I am so very grateful. I would be in such a painful body without her help and life would be a lot harder for me. Words are almost inadequate to say how much her help means to me. Two years ago I began treatment with Kaaren. I had a very painful Achilles tendon and I could only walk short distances and that was with a limp. It was getting to the point where I could only go on short shopping trips as it was too painful to walk for more than 20 minutes. The doctors agreed the only treatment was surgery. I decided that Kaaren was my last hope, that if it did not get better with her help then I would have the surgery. After approximately eight months of Kaaren's advice and healing treatments I no longer had heel pain and could go for my daily walks. I also have had an emotional eating disorder of food addiction for over forty years. Following Kaaren's guidlelines I immediately lost ten pounds. I soon also realized that in following the food guidelines and alkalinizing my body that the inflammation went down and my heel pain was eliminated. I now realized the impact that food has on our bodies! By continuing to follow her guidelines I now maintain a healthy weight, and the incentive is so great for me to continue with the Jin Shin Jyutsu treatments that I cannot imagine living any other way. I also have suffered from allergies, hay fever and severe sinus infections in the spring and fall for many years. But this last year when spring came around there was no trace of any sinus problem at all! Again here I credit Kaaren's healing treatments and advice as I truly did not realize the effect that food has on our bodies. I want to say how much Kaaren helped me to feel better and how I now have much more energy. I have much less anxiety by using her Jin Shin Jyutsu technique. Her nutrtional advice started helping me instantly and the techniques she taught me were so relaxing and they are easily done at home. I have recommended Kaaren, with full confidence, to many people I know that have various health issues. One of the people that I recommended her to was my mom, who has had a heart transplant. She has been seeing Kaaren for a couple of weeks and within one session my mom was up and feeling better. I had two serious dental surgeries within two months of each other this year and experienced excruciating pain before and after the procedures. After that I experienced what I call my nervous system being weakened. Everything bothered me, sounds, computer, T. V., phone conversations. Dealing with basic tasks would make me feel completetly overwhelmed. I felt i could not get anything done. After receiving "The Touch Of Healing" book and doing the Trinity Flows and the 8 Mudras for two days I felt better and was less nervous. Then I received a session in person from Kaaren. After that session I felt like my old self again, able to multi task and deal with the energies of people with various issues on the phone and in person. I have not felt over whelmed since and feel my energy back to a good flow. I live in Oregon and board and train horses for a living . I contacted Kaaren to help me fit my very round Arab gelding.. . That brings me to talking about Kaaren and her other phone service she helped me with . She sent me her cook book and advised me on some diet changes to help my bad back and allergies and I can honestly say she has changed my life . I no longer stiffen up over night and I can ride comfortably and work properly again . My allergies are much better too. She intuitively knew what I needed to change and her knowledge of nutrition is amazing . Then I got a second horse with saddle fitting issues of the opposite kind and Kaaren helped me find and fit a saddle for not only the horse but myself as well which was not easy as there are only a few styles I can ride in comfortably . I would highly recommend Kaaren as she is a very honest and thorough person with an incredible talent for healing , and saddle fitting for the horse and rider. 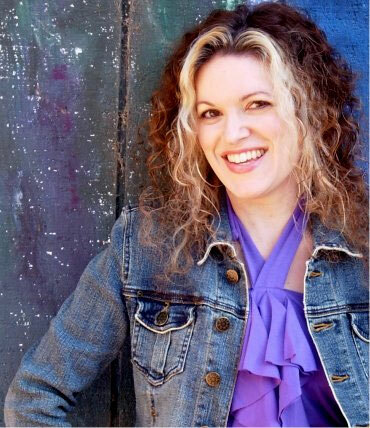 Kaaren's insight, intuition and knowledge have been invaluable in providing me with more energy and clarity...Kaaren's nutritional guidance and meal suggestions are practical and easy! The Jin Shin Jyutsu is healing, empowering and comforting; overall I feel more balance/harmony in all areas of my life! I had been battling an eating disorder for years when I met Kaaren. Counselors and dieticians could not help me and so my situation progressively became worse. I started to accept my struggle as a part of life. Kaaren offered her expertise in Jin Shin Jyutsu and nutritional counseling; I was willing to try anything. After six months of treatment I felt a heavy weight drop from my shoulders; after a year I felt free for the first time, in a long time. Kaaren taught me how to use Jin Shin Jyutsu at home and provided a nutrition plan that I was comfortable maintaining. My eating disorder does not have the power it once did. I enjoy spending hours in the kitchen preparing beautiful, healthy meals for myself and I use Jin Shin Jyutsu everyday. Eating correctly for me is fantastic, no more gas and bloating. 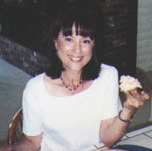 My neuropathy also got better when I eliminated sugar in all forms from my diet as Kaaren suggested. I now look forward to the Bieler's soup and the wonderful relaxing treatments from Kaaren's hands. You can order Eat Your Way to Health eBook for $12.50 via PayPal by simply clicking on the Buy Now link below. You will then be taken directly to the secure PayPal site where you can either pay with a credit card or from your PayPal account. The whole transaction takes place in the PayPal system which keeps your identity and account information secure and secret. Our account, which you will see appear automatically on the PayPal webpages, is info@kaarenjordan.com. Once you are finished it is also a good idea to email us at info@kaarenjordan.com to confirm the receipt of your payment. Or you can also order Eat Your Way to Health ebook by regular mail. Just send us a check or money order for $12.50 made out to Kaaren Jordan, along with your email address and we will email you the ebook as soon as we receive the payment. When you receive the email look for it as an attachment entitled EatYourWayToHealth.pdf. If you click on the file you should see options to save and or open it. We suggest that you save the file to your hard drive first and then open it. It is a PDF file and can be read by a number of programs. Most computers come with programs already installed that will read PDF files. If your computer does not have a program that will do this then you can click on this link and download a free copy of the Adobe PDF Reader. You will receive personalized information designed to enhance and accelerate your healing process. We all have a great natural ability to heal and experience wellbeing. But unfortunately we often impair this ability through our unconscious daily habits, our mental / emotional responses to life situations and inappropriate food choices. Fortunately these things can all be changed to work for you. And with the right tools and guidance the process can be both easy and fun. As a holistic health care practitioner and educator since 1986 I have enjoyed teaching people to create optimal health and wellbeing through the understanding of balancing food choices with lifestyle and the use of simple self healing natural healing methods. My work draws upon 27 years of study in the traditional oriental healing arts, holistic nutrition and western natural healing modalities. With my help you can learn how appropriate food choices combined with simple self help tools, that you can use anywhere in a matter of minutes, will help you reduce stress, balance your emotions, develop more energy and achieve your ideal weight. Every effort has been made by the designers of this website to provide accurate information. However, due to the law, we the designers cannot and do not make any explicit claims for nutrient efficacy, or the treatment, mitigation, prevention or cure of disease. If you are ill we recommend that you see a qualified medical professional. The designers of this website also disclaim any responsibility for losses or damages that may occur from use of information from this site.